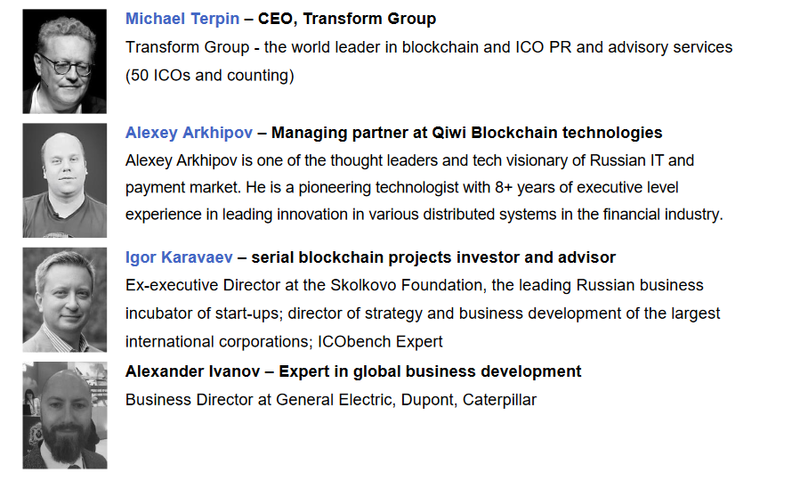 IMPORTANT NOTE: THE TOKEN SALE COMPANIES DISCUSSED IN THIS WHITEPAPER ARE NOT RESPONSIBLE FOR ANY DIRECT OR CONSEQUENTIAL LOSSESOR DAMAGES THAT MAY ARISE DIRECTLY OR INDIRECTLY FROM: (I) RELIANCE ON ANY INFORMATION CONTAINED IN THE WHITEPAPER AND ALL ASSOCIATED MATERIALS, INCLUDING THIS DOCUMENT, (II) ANY OMISSION OR INACURACCY ERRORS THAT MAY BE PRESENTIN THE INFORMATION RELAYED OR (III) ANY ACTION RESULTING FROM SUCH INFORMATION. The tokens offered in connection with the token sale under this White Paper are available for purchase to only “Accredited Investors.” Generally, interested persons must have a net worth of over $1 million (exclusive of residence) or an income in excess of $200,000 individually or $300,000 jointly with a spouse. The tokens sold in connection with this token sale are securedunder the U.S. Securities Act of 1933 (“Securities Act”); these tokens have not been and will not be registered under the Securities Act. The tokensare exempted from the amended registration requirements of the Securities Act of 1933, and the process of selling the tokens does not have to comply with specific disclosure requirements that apply to registration under the Securities Act. Neither the U.S. Securities and Exchange Commission nor any state regulator has gone through the merits of or given its approval for the terms of the token sale, or the accuracy or completeness of any associated materials. The tokens are subject to legal restrictions on transfer and resale and may not be offered or sold without registration or exempted from the registration requirements. The purchasers should not assume that they will be able to resell their tokens. Buying tokens involves risks, and purchasers should be willing to face the risk of loss of their entire purchase. All purchasers should determine whether or not they want tomake a purchase based on their own independent evaluation and analysis. Logistics business processes today are designed with a human being in mind, eitheras a customer or a controller etc. Autopilots for cargo robots, AI and the developing field of IOT hints that one day, robots may work without being directly controlled byan individual. This would bring enormous savings since currently, around 50% of costs in logistics is in labor. The field in cargo robot icswill require investments, and investments need insurance, risk management and control. Thus, unmanned cargo robots may become an asset which would require new types of regulations and business processes. 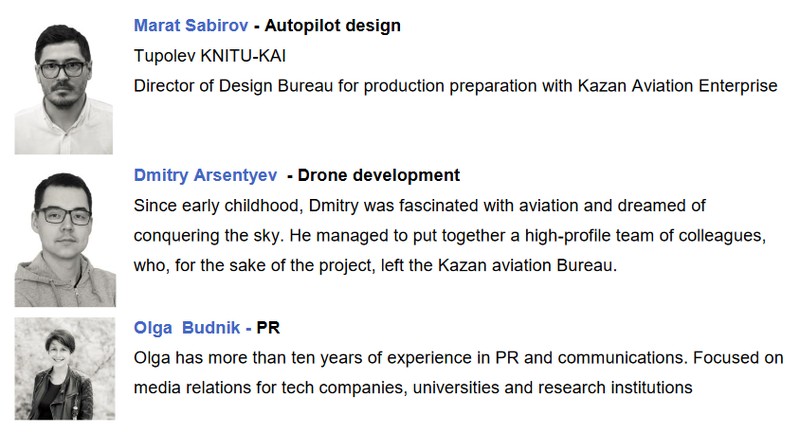 We are planning to develop them in the SKYFchain Operating Platform. The main purpose of the SKYFchain OP is to integrate information for all market participants and organize the execution of smart-contracts for transactions. Transactions may vary in value and frequency. The platform will collect commissions from each transaction. All transactions will be paid in USD or other fiat currency but executed in system using the SKYFT tokens. 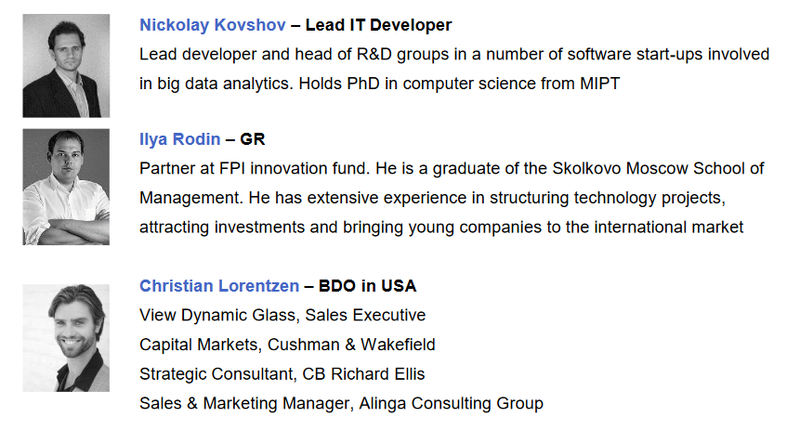 SKYFT token will be the internal currency of the platform. Only 1.2 bn tokens will be issued at ICO in form of Ethereum ERC20 tokens. This is fixed amount for all system. We are going to test the platform using SKYF drones, then we shall educate drone producers and integrate other drones into the system. When sea-borne and ground-borne cargo robots come in to the market, we shall integrate them as well by organizing workshops with respective associations of producers. rchase our tokens from the crypto exchanges in case of need. We are planning that SKYFT tokens will be traded at least at four or five crypto exchanges. This would create liquidity needed for the platform operations. ✓ successful aerodynamic tests; ✓ fully autonomous flights Q4 2017. • inclusion of ground and sea-borne cargo robotsinto the system. 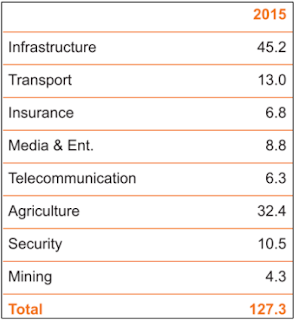 $127bn –that’s how much PWC estimated the total addressable value of drone powered solutions to be in all applicable industries. 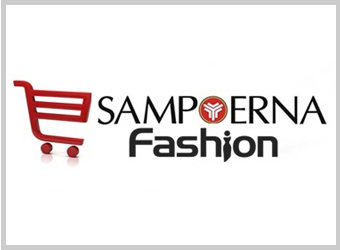 Exponential investments growth into the sector has already began. $100bn –is the service market size for SKYF dronein agriculture, logistics, and infrastructure (see Annex 4 for details). During the first three years it is expected that SKYFchain would service clients of SKYF drones in these industries. Despite high demand, none of the commercially available drone solutions fully satisfy the market needs. Market expansion of SKYF drones would allow for development and testing of the SKYFchain platform before inviting other industry participants. 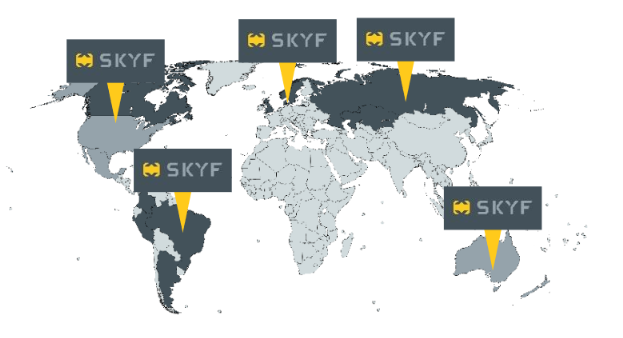 SKYF received letters of intent from several big oil & gascompanies (NGK Slavneft, PAO SIBUR Holding) and agricultural industry (Syngenta AG, Avgust Crop Protection, Rusagro Group, Prodimex), willing to use the SKYF drone services. Private (permissioned) blockchain is required to simplify the development and support and give an opportunity to choose solution most appropriate for each particular task. Moreover we want to be independent of the performance of public networks (e.g. scalability issues with Ethereum) and not wait for transactions to be committedin public network. At the moment we are considering three different approaches for the SKYFchain: creating our own Ethereum fork, SKYF-specific custom platform, built on top of either Exonum libraries or instance of R3 Corda blockchain. All tokens issued at public Ethereum network at the ICO stage are ERC-20 compatible and can be bought and sold on stock exchange. So we keep them in the public Ethereum network. At the same time these same tokens are going to beutilized as a crypto nomic fuel for the permissioned SKYFchain, so it is essential to synchronize balances between public Ethereum network and the SKYFchain. SKYFT tokens are the currency for all operations in the SKYFchain. All contracts are processed in SKYFT tokens. 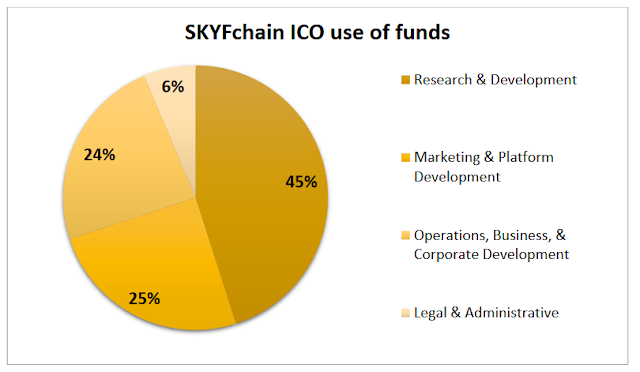 Although tokens are issued at public Ethereum network they are also fully used at SKYFchain. 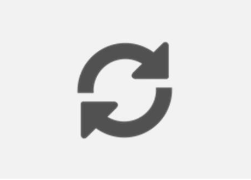 There are several options for synchronization. Using public Ethereum network transactions is the obvious way, but it locks SKYFchain performance due to different speed of transactions. Moreover additional public Ethereum network operations costs can ruin main advantages. Creating additional “internal tokens” as an alternative approach is going to dramatically increase complexity of the system because it depends on resource-consuming synchronization process between internal and external balances. The problem of storage and token balances reconciliation between SKYFchain and public Ethereum networks is solved by using payment channels and keeping balances in Ethereum public network. There are already several implementations of paymentchannels. And with Plasma project evolution sharding, parallel transaction execution and most of all the scalability problem are going to be addressed. Payment channels are part of a special middleware over blockchain database. They form a payment network and allow two or more parties to make funds transfers from one to another. In our case we create payment channel from public Ethereum network to the SKYFchain. Payment channels work in the following way. First a connection between the SKYFchain and public Ethereum network is established by execution of a special transaction in public Ethereum network. This transaction reserves certain amount of SKYFT tokens for this connection-payment channel. When SKYFT tokens are required for any operation at SKYFchain then they are used from the payment channel funds. Operations on payment channels are extremely fast since there is no need waiting for a commit of transaction on blockchain. A receipt signed by two parties is used for confirmationand payment validation. At any time either party can close the payment channel and spread reserved tokens based on received receipts. So we get an architecture where the SKYFchain is separated from public Ethereum network and all transactions could be processed at their own speed without any additional delays. And at the same time there is only one source of truth about balances -public Ethereum network. consensus protocol is one of the key points for this. The most popular (and proven to be more or less effective) are: Proof-of-Work (POW) like in Ethereum public network, Proof-of-Authority (POA) like in system of authorized nodes in the Ripple network, Proof-of-Stake (POS) like in Decred public network, and different variations. We will start with Proof-of-Authority consensus. In the beginning of our private blockchain there will be an administrator which will set the rules (governance), which may be written in the form of legal contract. Such administrator will invite other participants. In case of rules violation their node may be suspended and certificates annulled. It is essential to clearly state private network governance policy. So we are planning to offer governance roles in our blockchain to professional industry participants: Leasing and Insurance companies, Logistics Providers and their clients, State Authorities and market analysts, manufacturers and service providers. Thus in the beginning the network will be centralized, but as new participants join the system it will become more and more decentralized. We plan to extend the blockchain to 300 nodes during first three years of operations. While reserving 20-30 nodes as to ensure stability of the system. Other nodes would belong to ICO investors and to other market participants. Thus our platform will be ~90% decentralized till the third year and even more so afterthe third year. Although the SKYFchain will be based on the universal platform we are going to use it for a particular industry. So blockchain transactions would be optimized for operations of different roles. This will simplify admission of new participants and their initial adaptation. 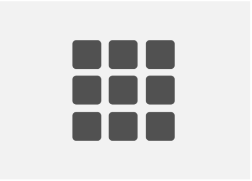 In blockchain database each block holds batches of valid transactions that are encoded into a Merkle tree. Each block has a hash to the previous one, so no one could alter the chain in any way later. Merkle tree is a tree of hashes, and it is optimized for size and speed to check if a particular data was included in a set of objects. KYFchain is a permissioned blockchain, because only members have access to it. Transactions log in SKYFchain is public and accessible for all participants. It is required for validation of the blockchain. On the other hand any participant can decide to hide commercially sensitive data and post only hash of that datain transaction while still maintaining its accuracy and completeness. Merkle tree structure allows seamless integration of such transactions into blockchain. This is a so-called "anchoring". Later such partner (network participant) could provide data and confirm validity with hash in blockchain. 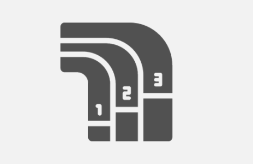 Anchoring also allows to optimizevthe size of stored data. Anchoring and local decentralized transactions could be used to provide confidentiality when it is required for a certain contract. In case of disagreement administrator and legal parties can be brought in to validate contract and operations, check governance and make a ruling. Join the white-list to receive a 40% discount on your SKYFT tokens! The pre-ICO target is $1 000 000. The pre-ICO hard cap is $2 000 000. Only 51 300 000 SKYFT tokens is reserved for Pre-ICO. Minimum tokens purchase volume is 3000 SKYFT. Collected funds will be stored on several accounts to limit potential impact of an attack by hackers. We accept contributions in ETH and BTC. If you want to contribute BTC, you still need the ETH address in order to receive tokens. Exact ICO dates areto be announced. ICO hard-cap is $30 000 000. The final SKYFT token price at ICO will be $0,065. burned. 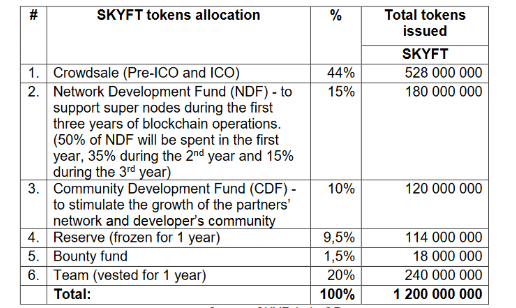 For each SKYFT token sold at the crowdsale 1,27 tokens will be created and will be split between special token funds (see pie chartbelow). Thus the maximum number of tokens is 1 200 000 000 SKYFT. several languages, user acquisition, etc. partnering with other relevant projects. services needed to run our organization. In a softcap success scenario - if we manage to collect only the softcap of $5 mln, then the development of the project will be delayed but the goals will remain. Furthermore, we shall focus on developing an MVP of the blockchain to present it to the market participants to attract additional funding. 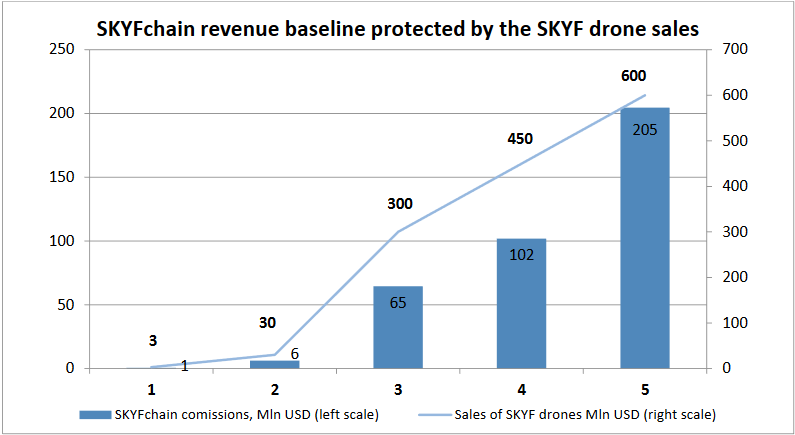 Meanwhile the 20% of the revenues from sale of SKYF drones would sustain the price of SKYFT token. In medium case scenario - if we manage to collect $15 mln-then after developing an MVP of the blockchain we are going to extend the network of partners among the market participants. 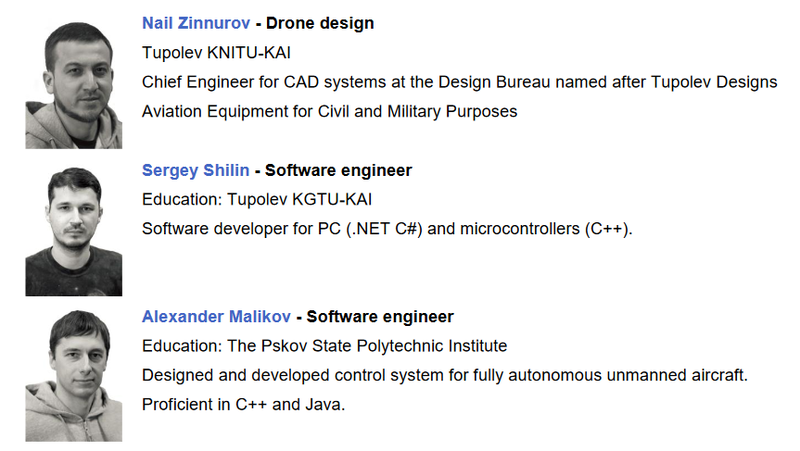 We shall organize workshops and educational events about using functionality of the SKYFchain. 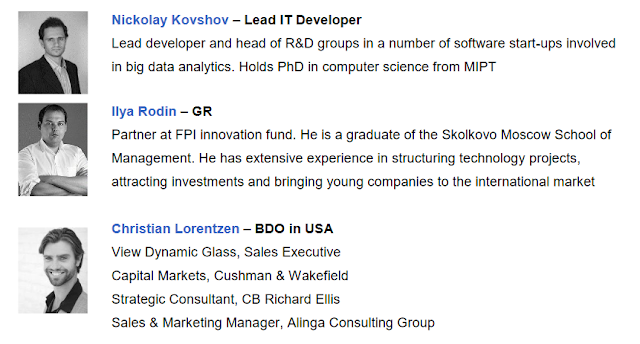 New participants should bring in new transactions which should generate demand for SKYFT tokens. Our Team today has more than 30 engineers and developers.